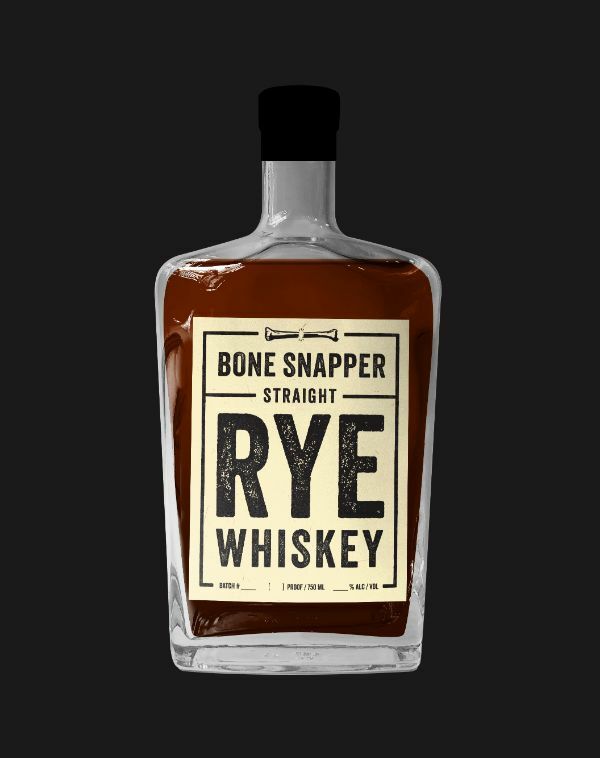 Bone Snapper Rye Whiskey is a straight-forward rye made in Lawrenceburg, Indiana. It is distilled from a mash of 95% rye, 5% malt, and limestone-filtered water drawn from the deep aquifers underneath Southern Indiana. It is put into a barrel at just under 120 proof and aged between 24 and 30 months in new American oak barrels.